Do you want to play a game for a ninth time? Even if you don't, it seems that the Saw franchise is far from dead. Jigsaw was incredibly successful at the box office, despite the fact that it didn't do much for critics or fans, if Rotten Tomatoes is to be believed. In any case, money talks and that means it's only natural that the producers of the Saw franchise see that there's possible money to be made with another installment. With that said, it looks like some discussions have started about making Saw 9 happen. At the present time, that's about all we know, but a new report claims that Twisted Pictures is having a "conversation" about Saw 9 at the present time. Though this new report notes that it's merely talk at the moment, one has to imagine that they're taking this rather seriously. How could you not? 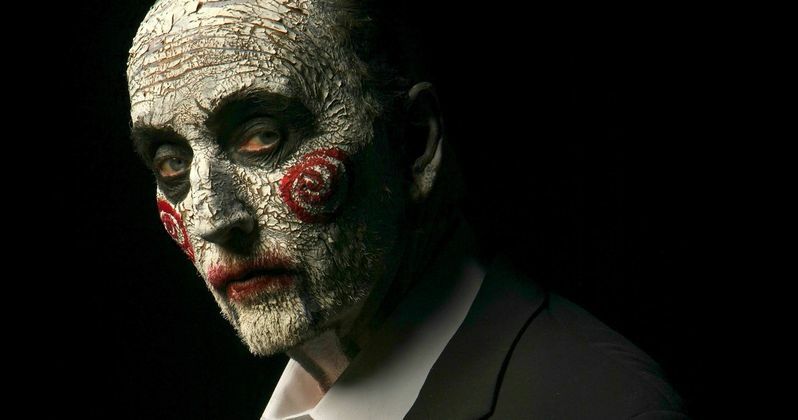 Saw, at this point, thanks to Jigsaw, is just shy of becoming a billion-dollar franchise. That's not something many horror franchises can claim, so Saw 9 seems like the kind of thing that is probably going to become closer to a reality as time goes on. Even if, on paper, it doesn't make much sense. Not to get too heavily into spoilers here, but the Saw franchise has been messing with the timeline and the lore in a big way ever since Saw III. In that movie, Tobin Bell's John Kramer, aka Jigsaw, was killed. However, his presence has been felt in the franchise since then and he even had a pretty prominent role in Jigsaw. With that said, the last movie really had to do some creative rejiggering to make the convoluted idea work and it's near impossible to imagine where they could take it from there. At least without being a total rehash, that is. Then again, that's never really mattered with horror franchises like Saw. Case in point, Jigsaw was reportedly made for $10 million and made $102.9 million worldwide. Even with marketing costs factored in, that means the movie turned a very healthy profit. And to put that in perspective even further, that's the second-lowest grossing movie in the Saw franchise to date. So yeah, people like Saw movies and they make money. Plain and simple. That kind of math makes Saw 9 seem like a sure thing by Hollywood standards. There's always the possibility that the studio could decide to go with a reboot of some kind, be it a soft reboot or some kind of complete reset of the Saw franchise. We'll have to see how this all shakes out, but don't be on waiting another eight years for the next Saw movie. Bloody Disgusting also notes that, if Saw 9 does happen, directors Michael Spierig and Peter Spierig will not be coming back. So we'll once again get some new blood in the director's chair, which could help.